Watch out Video on Instagram and Vine, there's another competitor jumping into the vid-clip ring: 16-second shorts from MixBit. The new app also comes with a slight twist, but more on that below. 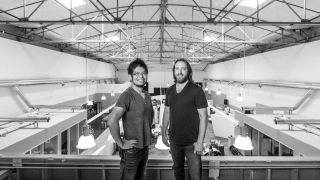 MixBit comes from AVOS Systems, a start-up created by two of the three YouTube founders, Steve Chen and Chad Hurley. With Instagram providing users with 15-second videos and Vine looping 6-second clips, you may be wondering what makes MixBit's16-seconds so unique. Well here's where it has an edge over the other vid apps as explained by Hurley in an interview with The New York Times: "The whole purpose of MixBit is to reuse the content within the system. I really want to focus on great stories that people can tell." Specifically, users can shoot 16-seconds of footage then use the simple app tools to mix in up to 256 other clips uploaded by different people to create an hourlong video. Two hundred and fifty-six clips is quite a lot. That's practically a whole movie of anything you want (cats, food, friends jumping in the air ... basically the only things that make up the internet) plus you can share your creations on the MixBit website and all your social media channels - Facebook, Twitter and Google Plus. However, there is one rather large drawback to the app - everything is completely anonymous. User videos are posted with no names, and commenting is non-existent. Sure this may prevent the usual internet trolls, but for an app and site that touts "sharing," anonymity seems counterproductive. But don't fret future Coppolas and Spielbergs. Hurley has noted user identities will be added later as MixBit currently wants to focus on building a community (but how much later is up in the air). iOS users will be able to shoot, mix and post their vids with MixBit while the app for Android platform is coming down the road. Speaking of Android, read about how Google finally has a "Find My Android" app to track down your lost phone.